How is it possible for Yoda to know about the Sith Rule of Two when the Sith have been extinct for a millennia? In Part 1 of this series, I began with the question above. As you may recall from that first post, the question came to me from one of the fans of this blog. Naturally, I was happy to indulge and jumped into it with a full-head of steam. But as I wrestled with the question in my head, I ran into more problems than I had anticipated, and slowly got bogged down by the extra baggage, all of which I played out in the previous Parts. At last, though, we have arrived at the Finale and it is time to take the deep dive into my answer to the question. My idea is actually a rather simple one: Rather than having Darth Bane live/enact the Rule of Two 1,000 years before the events of The Phantom Menace, we move his life back in time, essentially making him MORE ancient. Now, before going any further, I should note that we can do this because there is literally NO ancient history to contend with in the Star Wars canon. Sure, the Expanded Universe (EU), which many of you undoubtedly love and still enjoy, did establish a very detailed history for the era of the Old Republic, including various wars between the Jedi and Sith. But the EU, while flipping awesome, is not part of the official Star Wars canon, and because it isn’t, we can rearrange things however we want, no longer beholden to those EU stories – including the Darth Bane novels. So we push canonical Darth Bane farther into the past. This opens new avenues for storytelling and creates a much clearer picture for the sake of canonical continuity, one that does not put Yoda in the awkward spot of knowing something about the Sith that he shouldn’t be able to know. Alright, let’s explore the rationale for this and how it plays out. The fact that Yoda says the word “Always” should tip us off to something – that this is how the Sith have worked for a VERY LONG TIME. Think about it – if Darth Bane lived/enacted the rule 1,000 years ago, and the Sith have been in hiding for those 1,000 years, it would be INCREDIBLY awkward from a continuity/canonical perspective for Yoda to know that this is ALWAYS how the Sith have functioned. How in the hell would he possibly know this if the Sith went extinct 1,000 years ago? Besides, when Yoda says this statement to Mace Windu in The Phantom Menace, Windu’s reaction is not “Dude, how do you know that!? !” but is rather “But which one was killed, the Master or the Apprentice?” What Yoda says is something Mace Windu already knows. Oh, and one other thing – Is Yoda really so accepting that he would actually believe there are only two Sith? The way of the Dark Side is one of lying, deceit, and mistrust, and if Yoda had discovered this new shift in Sith philosophy, he should be the last one to believe this is how the Sith now operate. Then again, that is hardly the point because THE SITH ARE IN HIDING AND THE JEDI BELIEVE THE SITH ARE EXTINCT!!! To me, the only conclusion that makes sense is that the Rule of Two was around far longer than 1,000 years ago, so long in fact that the Jedi Order is no longer concerned with thousands of Sith presenting a problem – they are only concerned with two Sith at a given time. Now, let’s add Darth Bane to the picture. 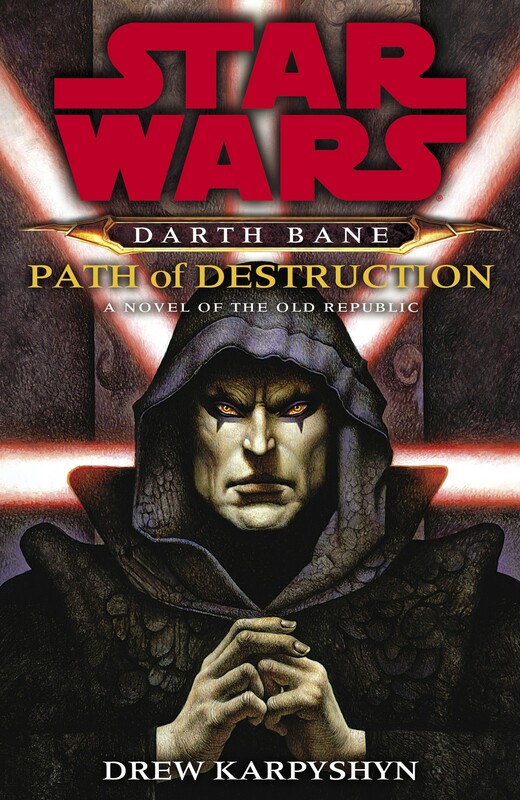 As I have already quoted and explored in Part 2 and Part 3, Darth Bane states that “The Sith killed each other, victims of their own greed” in The Clone Wars episode “Sacrifices.” Obviously, the implication of this statement is that BEFORE Darth Bane changed Sith philosophy, the Sith were legion. However, what is also implied is that the Sith Order collapsed in on itself. The Dark Side breeds conflict and the Sith focused their fighting on each other rather than their TRUE enemy – the Jedi. 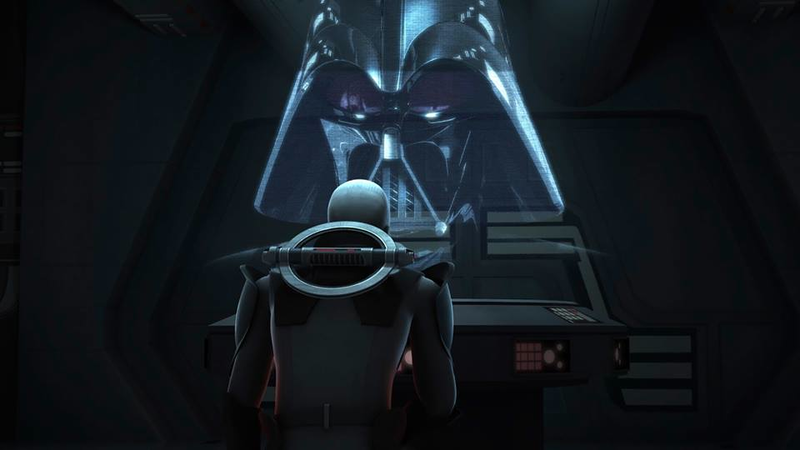 From the “ashes of destruction,” Bane, the last survivor and the most powerful of the old Sith reinvented the Sith Order, declaring that there would be only two Sith Lords. 2,500 years ago. 5,000 years ago. 10,000 years ago. It doesn’t matter when Bane did this, as long as it is at a point longer than 1,000 years ago AND far enough in the past to justify Yoda saying there are “Always” two Sith. 1) The Pre-Bane Sith – Story ideas could involve the birth/rise of the ancient Sith Order on Moraband; the constant infighting between Sith Lords; the shaky alliances between Sith in wars against the Jedi Order; a final showdown between the last of the Sith with Darth Bane coming out the victor. But what of the Sith “extinction” which Jedi Master Ki-Adi-Mundi refers to in The Phantom Menace? At the 1,000 year mark, the point Master Mundi is referring too, this is when the Sith are finally “defeated” by the Jedi Order. I will let your imagination work to think about what that moment would look like, but the end result is the same: the Jedi are convinced they have finally defeated their arch nemesis. Battered but not extinct, the Sith would go into hiding, taking a new approach to bringing down the Jedi Order through subtlety, cunning, and intrigue, culminating in Darth Sidious’ victory over the Jedi in Revenge of the Sith. Ultimately, I believe this approach, placing Darth Bane/the introduction of the Rule of Two further in the Star Wars past would protect the continuity of the canon while also opening it to new and dynamic story possibilities. But doing this is not just important for the sake of clarifying how Yoda knows about the Rule of Two in The Phantom Menace, or what Darth Bane is talking about in “Sacrifices.” It is important because as fans, we should expect elements within Star Wars to line up and make sense. That is the entire point of continuity. Plus, this is even more relevant now that EVERYTHING has the same weight, the same status as being canonical. Whether it is a comic book, video game, television show, a children’s book, or a movie, each of these pieces are on the exact same level. And this necessitates delicacy, attention to detail, and patience to ensure that ALL story-elements in the ENTIRE canon function together and do not create significant points of confusion or contradiction. But don’t get me wrong, I know incongruities will persist, they just shouldn’t be so massive, so glaring that they chew into a fan’s enjoyment of the galaxy far, far away. Hahaha quite right, Philip, quite right. Perhaps the Bible needs to be retconned! Great ending! Pushing the events back definitely clears it up a bit. Continuity is necessary but hard to find in such a large universe. Many thanks, Mr. Carvelli. Any glaring continuity issues you would like me to wrestle with in the future? With the changing of the ending of Episode 6, the question occurs how Anakin could revert back to his young self when becoming a ghost, but Yoda and Obi-Wan are the same as their death. Also, how did Anakin come back as a ghost anyway??? He died but didn’t become one with the force, same as Qui-Gon, but still got to become a ghost? Some say that he disappeared after wards and Luke burned the suit, but Obi-Wan and Yoda disappear right at their death but Anakin doesn’t. As for him actually becoming a Force-ghost, I have a ridiculous amount of ideas, but perhaps I will just simplify them all to this: Anakin is the chosen one, and since he was born from the Force he can also become part of the Force upon death. Maybe that is also why he doesn’t disappear right away. What do ya think? Maybe he appears as younger simply because that was when he was in his prime… It seems as though with Obi-wan and Yoda, they were very accepting of their appearance as they aged. However, Anakin got a serious makeover at the end of Episode III (and also became less powerful because he could never control Force Lightning and therefore never defeat Sidious). So maybe you appear as whatever form of yourself you would like? That would make sense, because then why wouldn’t Anakin, with his personality, choose to appear as what he felt was in his prime, most powerful state? As far as his ghost appearing, I always thought that Obi-wan and/or Yoda sort of “snatched” his Force ghost because they felt that he had redeemed himself. This could explain why his body remained, because he died like any other person, but then became a Force ghost a little while later. His body could have even still disapeared while it was on the pyre, because all his artificial parts (so a whole lot of him) could stay to be burned and his organic parts could have vanished without causing much of a scene. That is very interesting. I agree that we should just continue watching the original version of Episode 6 and I guess since he is the chosen one he can do whatever the heck he wants *cough* Lucas’s idea about himself before the prequels *cough*. I would actually really love for you to look into how Darth Bane can actually appear posthumously to Yoda… It seemed like the movies made it pretty clear that was a Jedi thing, not to mention really hard to pull off. That being said, I am only currently working my way through the Clone Wars series, so maybe it’s explained in the series, or even elsewhere. I think that some dark side users are unable to join the Force after death, so they just stick around in the universe around where their bodies are. When a Jedi appears as a “Force ghost” they would still have become part of the Force, but this is just my opinion. This is actually something that was/is very common in the Expanded Universe. In the Knights of the Old Republic video game, for example, you have to explore a number of different Sith tombs on Korriban in the Valley of the Dark Lords. One of those is the tomb of Ajunta Pall and, when you enter his tomb, you eventually interact with Pall’s spirit which is trapped inside the tomb. Or, in The Jedi Academy Trilogy (by Kevin J. Anderson), the new Jedi who are training in the Massassi temples on Yavin 4 encounter the spirit of the Dark Jedi/Sith Exar Kun, long dead for 4,000 years (and who, himself, factors into the KOTOR video game). Personally, I think the idea of the spirits of the ancient Sith persisting after death would be an interesting one to keep around in the new canon, but that would also require stories about the ancient Sith being written and it doesn’t seem like that is really the focus of the powers at Disney/Lucasfilms right now. Alright, that makes sense. Thanks for the clarification guys! So, in the episode, Yoda actually confronts Bane on this fact by pointing out that Bane is an illusion. When Yoda says this to Bane, the illusion then disappears. Now, before Yoda even enters the tomb, he is first accosted by spirits of the ancient Sith. They circle him and as they “attack” him (they just shoot themselves into his torso) they declare that there is no life after death, only nothingness. So you are correct, life after death IS a distinctly Jedi thing – though the story-arc in those episodes makes it clear that the Jedi were themselves unaware of this possibility before hand (I think I noted that in the piece on Qui-Gon Jinn that I posted a couple weeks ago). Of course, just because he is speaking to an illusion of Bane doesn’t detract from what Bane is saying. Yoda speaks to it as if it were real, and it isn’t until Bane challenges Yoda that Yoda is like “yeah, you ain’t real, you iz dead.” — okay, he doesn’t say it like that, but IMAGINE if Yoda did talk like that. Ok, so I read all four parts of the rule of two and I have a question about what you said repeatedly “how could Yoda know of this since the Sith have been gone for over a thousand years?” So here is my question. I hope I don’t sound stupid or missed this in the comments already but wasn’t Yoda about 900 years old when he died? Isn’t it possible he could have worked with or met one of the old Jedi that told him of this rule? Not a stupid question at all! Indeed, Yoda, at the time of The Phantom Menace, would have been around 870 years old (give or take a couple of years). It is perfectly reasonable to presume that Yoda would have interacted with a number of Jedi who, like him, lived longer than a human lifespan, and who were themselves present when the Sith went extinct. The issue, though, is about what it means for Yoda to know about the Rule of Two (he doesn’t necessarily have to know about Darth Bane), or for any Jedi to know about it, presuming we are working within the 1,000 year time frame. Essentially, if Yoda or other Jedi know of the Rule, what is implied is that they also know about the existence of the Sith. 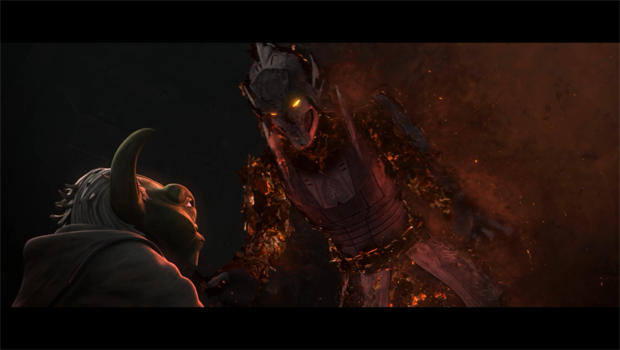 However, the Jedi believe the Sith to be extinct, and the Sith do not reappear until the events of The Phantom Menace. The question, then, comes down to how to reconcile these two plot points that, as it currently stands, are at odds. Ultimately, my answer to the question is one possible fix to what I see as an unforced error within the canon. There very well could be other fixes, some of which may be able to reconcile everything within that 1,000 year period. Personally, after looking at everything, I can’t see a way to do that, but I am all ears if someone has suggestions! Besides, that is part of the fun with Star Wars – error or not, it leaves a lot to the imagination! Thanks for the response. But I am still confused a bit. So who said they didn’t write down stuff about the Sith and keep it in the Jedi temple to study for future Jedi?. I mean if they were the main enemy of the Jedi why wouldn’t the history of the Sith be part of their curriculum while learning? Also couldn’t yoda know the rule of two and still believe the Sith were extinct? It is possible one of the Jedi you mentioned could have informed yoda of the rule while he was a young Jedi but said not to worry the Sith are now extinct? I’m not trying to be difficult here I guess I am just confused on the rule of two. Not difficult at all! The issue is a confusing one…hence why it took me four parts to go through. And, I probably could have found other reasons to create more parts. As it stands right now, the Rule of Two was instituted after the Sith went extinct 1,000 years before the events of The Phantom Menace. Darth Bane, who survived the Sith extinction, instituted the rule after this extinction event. Now, keep in mind, this is the same extinction that the Jedi are referring to in Menace. If the Jedi believe the Sith went extinct, the implication is that they wouldn’t know about the survival of Bane. When the Sith reappear in The Phantom Menace, the Jedi react with a sort of perplexed denial. They have been under the impression that their ancient enemy was long gone. When Qui-Gon says he has encountered a Sith Lord, of course the Council doesn’t believe him – the Sith are dead in their minds. I agree with you that the Jedi certainly would have written down information about the Sith/studied them, but again, as things currently stand, the one piece of information the Jedi could not study is the piece that was enacted after the Sith went extinct. In turn, to reconcile this information within that 1,000 year period, a number of weird problems start to arise. That is why I suggested that things get shifted around (just push Bane further into the past). That way, like you are saying, Yoda could know about the Rule AND believe the Sith are extinct. Cole, I think you and the Imperial Talker are presenting the same idea here. IF, as has been posted in this series, the Rule Of Two was in effect before the Jedi believed that the Sith “were extinct” then this would absolutely be something the Jedi learned in their training/schooling. In that way, Yoda was simply quoting standard Jedi knowledge of the Sith’s past to Mace Windu, something they all learn. In fact, that seems to fit very well with the scene in ‘The Phantom Menace.’ I like your way of saying this and it seems to fit very well. Yoda isn!5 shocking Mace. Rather he seems to be quoting the old knowledge of the Sith they all learned at sometime. However, as is argued in this series, if the Rule of Two is instituted AFTER the Jedi think the Sith are extinct then they would have now way of knowing about it. They wouldn’t be gaining or teaching new knowledge of the Sith because, as far as they are concerned, the Sith are gone. Does this help at all? thank you so much. Both of you. I think I just had an aha moment. Thank you for breaking it down for me. This makes so much more sense now. I can now see the confliction of the time line in the series you were talking about. Great series. I really enjoyed it and look forward to your future posts as well! Thanks man! Keep up the comments! Look forward to hearing more of your thoughts.